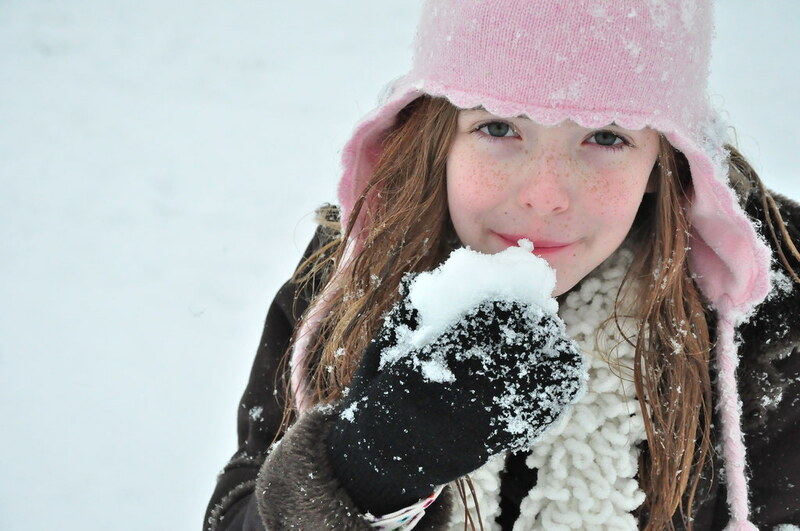 Texas Freckles: The most snow in a generation! The most snow in a generation! I can't remember this much snow here. 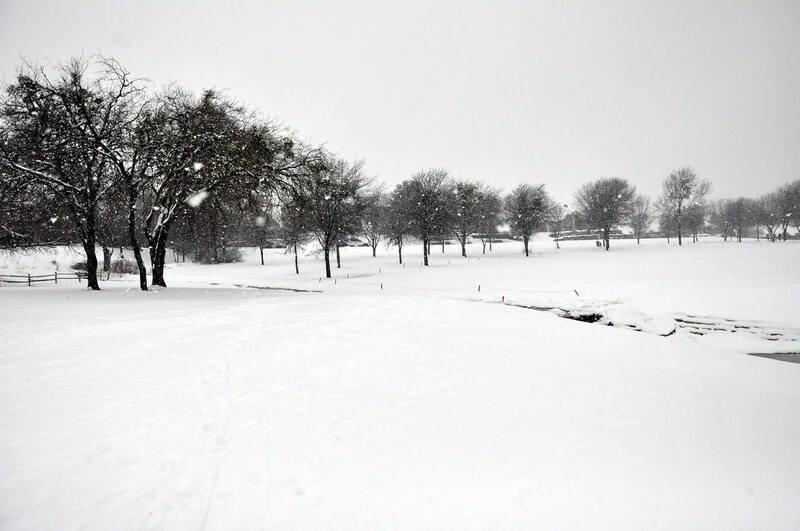 Probably because the last time north central Texas got this much snow was in 1978. (I was six.) And, it's still snowing! On the news they just called it the most snow in a generation. 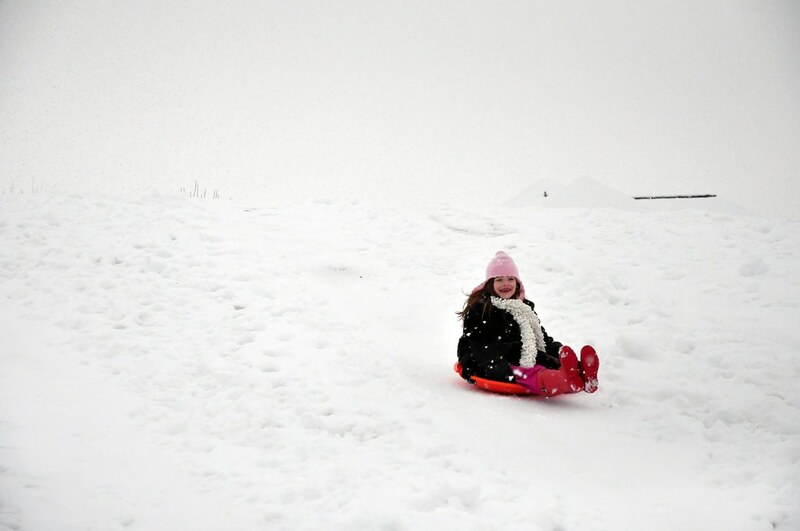 We went sledding on the golf course. You can't buy a sled in our neck of the woods. Luckily, we brought these home from Colorado a few years ago. School was cancelled today and will likely be closed tomorrow too. We Texans aren't know for our ability to drive in snowy or icy weather; we just don't get much practice. This sure is fun while it lasts. It's supposed to be back in the 50's in the next few days. Yeah, not what I think of when I think of Texas!